SkyBlue Cross Alternative Health: Newest Natural Health Food Heal Therapy has been developed especially for Stroke Survivor’s high Blood Pressure level controlled. 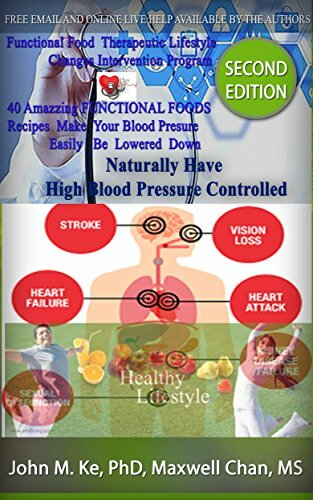 Newest Natural Health Food Heal Therapy has been developed especially for Stroke Survivor’s high Blood Pressure level controlled. Functional Food Therapeutic Lifestyle Change Intervention Program [ Aka Functional Food TLC] for stroke Survivor’s High Blood Pressure controlled. Most Stroke survivors have to have their Blood Pressure well controlled in case stroke happen again. However, most High blood Pressure medicines are easy to take, but all medicines have side effects. Some common side effects of high blood pressure medicines include: Cough, Diarrhea or constipation, Dizziness or light-headedness, Erection problems, Feeling nervous, Feeling tired, weak, drowsy, or a lack of energy, Headache, Nausea or vomiting, Skin rash, Weight loss or gain without trying. Nowadays, Convention Medicine for Stroke survivors’ high blood pressure medical treatments have unique goal that is to lower the blood pressure , and save the patient’s risk of life, most the underlying causes of high blood pressure are put asides, then stroke survivor’s high blood pressure issue become treatable health problem, but unfortunately it can never be cured. stroke survivors can only take a lot of high blood pressure pill just only for saving possible risk of getting stoke again, and suffer above side-effect for lifelong. Functional food Therapeutic Lifestyle Change Mediation/Intervention Program [ aka Functional Food TLC] is side-effect free, effective natural health therapeutic lifestyle changes mediation . It is a System-Oriented approaching and has both patient and healthcare practitioner integrated into an interactive partnership. It is revolutionary in healthcare industry; it can better address the patient need. By updating the traditional disease cantered focus to a more patient-centered approach; Functional food TLC practitioners can let healthcare provider spend more time with their patients, acknowledge patients' more detail information as to family genetic issue, living environment, lifestyle factors which may have influence at their complex chronic health issue,… and so on. By this way, Functional food TLC can better serve each patient unique expression of health, and treat patient's unique, complex, chronic health problem. 1. Functional Food TLC offers a powerful new healthcare system and clinical model for assessment, treatment, and prevention of chronic disease to replace the outdated and ineffective acute-care models carried forward from the 19th century. 2. Functional Food TLC incorporates the most value God-pharmacy-functional food, the best, most effective side-effect free natural health remedies, great abstracts of traditional Indian and Chinese Medicine, and understanding of how environmental and lifestyle factors influence the emergence and progression of disease.